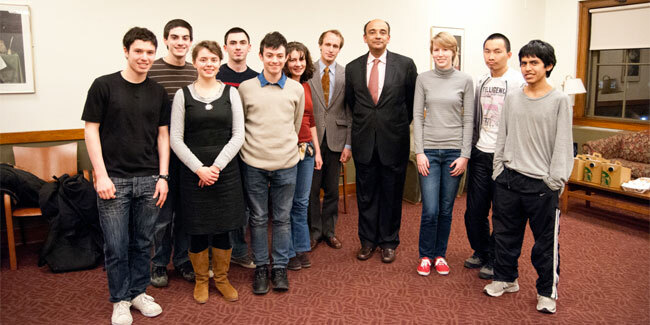 The Undergraduate Philosophy Council is an organization that seeks to foster interest in philosophy among undergraduates. The council is a great place for students to present their own ideas to other students and engage in lively discussion. While philosophy majors and minors are especially encouraged to participate, the council is open to all undergraduate and graduate students, and faculty. The council meets on Friday afternoons at 3:30 p.m. during the fall and spring semesters. Most meetings are in 501 Lattimore (exceptions are noted in the schedule). Refreshments are served at all meetings. 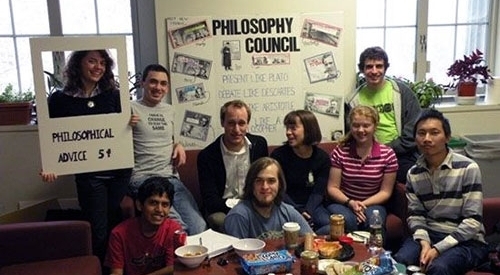 For more information about the council see the Philosophy Council Campus Community Connection page. Also check out our blog. to discuss his theory of Cosmopolitanism.